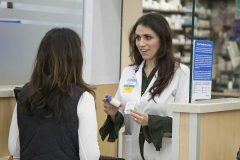 In an effort to help curb abuse and misuse, Walmart is launching what is calls a first-of-its kind opioid disposal solution—available at no cost—in company pharmacies across the country. Known as DisposeRx, the small packet contains ingredients that, according to the manufacturer, when emptied into a pill bottle with warm water, ultimately enable patients to responsibly dispose of leftover medications in their trash. According to the Substance Abuse and Mental Health Services Administration and the National Institute of Drug Abuse, more than 65 percent of people misusing prescription opioids are getting them from family and friends, and personal prescriptions are one of the main sources of nonmedical opioid abuse. “DisposeRx provides a virtually effortless way for patients to destroy leftover opioids and a way to do so without ever leaving home,” says Walmart. The disposal solution now will be provided in addition to ongoing counseling available to Walmart patients on proper opioid use when filling an opioid prescription at any one of its 4,700 pharmacies nationwide. Now, pharmacists can also counsel patients on how to use DisposeRx and distribute an opioid awareness brochure outlining risks and offering resources. Beginning immediately, patients filling any new Class II opioid prescription at Walmart pharmacies will receive a free DisposeRx packet and opioid safety information brochure when picking up their prescription. Patients with chronic Class II opioid prescriptions will be offered a free DisposeRx packet every six months. Existing pharmacy patients also can request a free DisposeRx packet at any time, including at the upcoming Walmart Wellness Day event on Jan. 20 from 10 a.m. to 2 p.m. local time at all Walmart locations nationwide. Additionally, Sam’s Club patients can access Dispose Rx at their pharmacies. 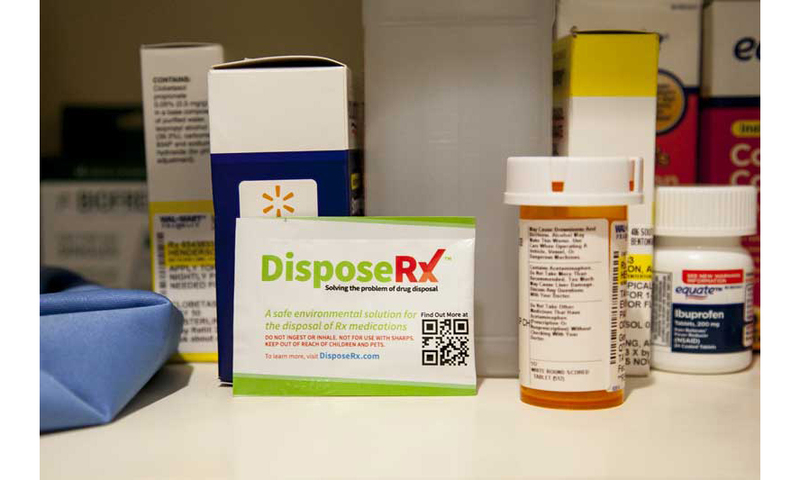 The launch of DisposeRx in Walmart and Sam’s Club pharmacies is one of several ways the retailers say they are helping to address the prescription drug abuse problem. The company urges lawmakers to establish a seven-day supply limit for initial prescriptions issued for acute pain and to require all controlled substance prescriptions be issued electronically, in partnership with the Drug Enforcement Administration. It stocks Naloxone in its pharmacies and will offer Naloxone behind its pharmacy counters for sale or for dispensing by a pharmacist by the end of this month in all states where pharmacy practice laws support its ability to do so. The company says it also believes education on prescription drug abuse is a key part of the solution and is helping to fund a variety of multi-state programs that teach youth about the dangers of prescription drug use and abuse. 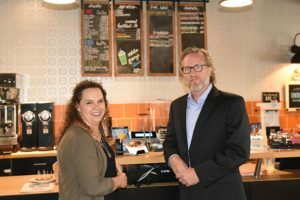 In other Walmart news, the company announced the results of an extensive lighting program with “Current, powered by GE” at the National Retail Federation’s Big Show. As part of an “ongoing commitment to energy efficiency,” Walmart now has installed more than 1.5 million LED fixtures across more than 6,000 stores, parking lots, distribution centers and corporate offices in ten countries. With energy costs traditionally representing one of the company’s largest operating expenses, Walmart says the its energy initiative over the past decade has reduced lighting energy consumption and reduced costs by more than $100 million. 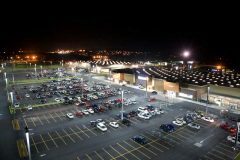 The LED commercial lighting initiative between Walmart and GE started 10 years ago with refrigeration display lighting and has grown to include parking lot and interior lighting. Many stores now also feature Current’s TriGain technology, which the company says is engineered to improve product visibility and enhance color vibrancy in areas like produce departments. Walmart also is moving to complete LED and controls retrofits in 100 percent of its distribution centers in the U.S., along with a new initiative to replace all other forms of overhead lighting with LED. Walmart’s investment in energy efficiency has reduced energy use per square foot by more than 12 percent since 2010. Its LED investments are part of Walmart’s emissions reduction plan aimed at meeting its goal to reduce emissions 18 percent by 2025 (from 2015 levels) in its own operations through a combination of increased energy efficiency, sourcing of renewable energy and improvements in refrigeration systems and fleet efficiency.